VH1 has done it again with another great drama filled reality show that you just can't turn away from: Love & Hip Hop Atlanta. It's all the drama of the original Love & Hip Hop but with southern swag. It's filled with relationship drama, obvious infidelities, and break out artists. Head over to Tim Kardashian to get their review on the show. Like the first explosive episode there seems to be drama even when the cameras stop rolling. 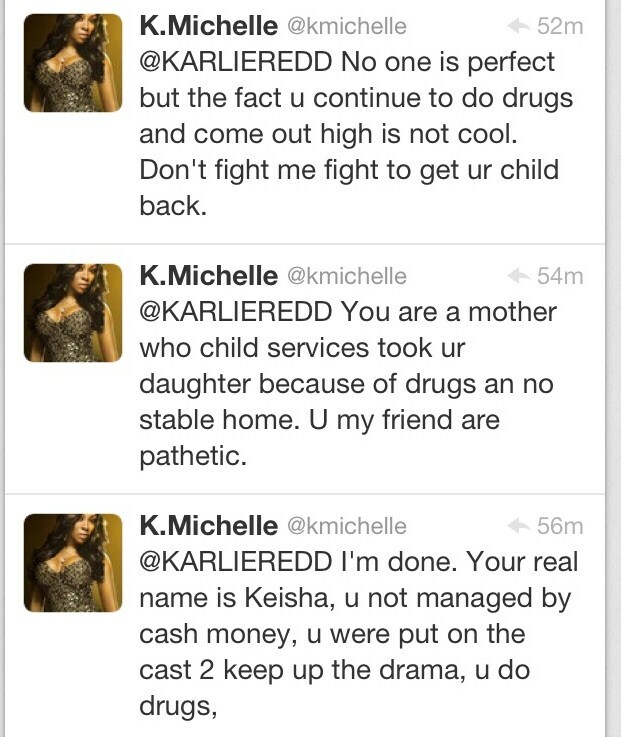 Last night Karlie Redd, the former Scream Queen and recording artist, went into a twitter tirade with fellow cast mate and recording artist K. Michelle. 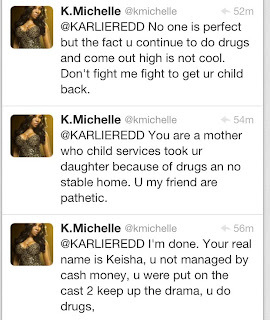 Whatever the petty cause of the drama K. Michelle initially seemed to be unphased by Karlie's tweets and more focused on the success of her new single, "Bury My Heart". The two went back and forth putting out all types of dirt on each other. On the fashion tip, I did really like the head scarf that Joseline was wearing on the premiere episode. Get similar scarves and head wraps from H&M. Forreal I ain't tryna look like a drag queen, I'll pass!